World’s leading laptop cases and accessories maker Targus® Inc. announced today, the launch of Seoul Collection Three backpack designs tailored to fit every fashion style, business needs and other daily engagements. Allying aesthetics and functionality, the Seoul backpack is an everyday wear, before, during and after work. From the gym to the office, a lively bar to a crowded train station or an airport, the Seoul backpacks are designed to keep the laptops, tablets, and other accessories safe while easy to carry around. An inspired and contemporary shape, this backpack is a clean and efficient design featuring a unique 6-shape secure closure. 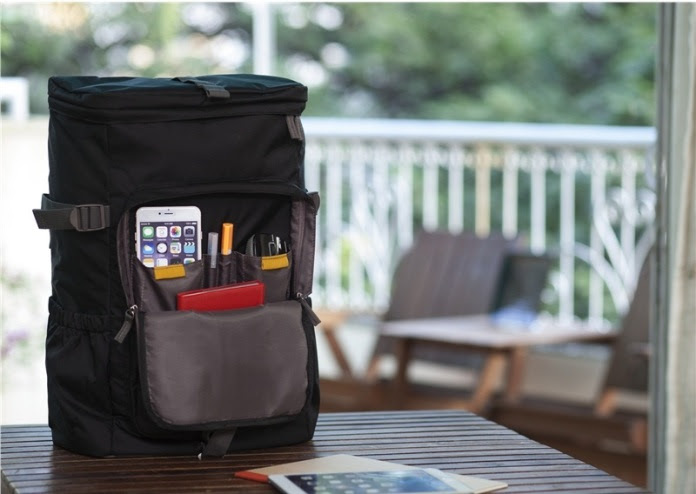 In the main compartment, the backpack features a dedicated up to 15.6″ laptop and an iPad®/ tablet pocket with a Velcro closure, along with plenty of space for files, folders, and other printed material. The zippered front pocket opens on a workstation designed to accommodate up to two smart phones and a couple of pens. Quick-grab items can be stored in the zippered pocket on the top flap, while most precious items (such as passports, for example) can be secured in the zippered pocket on the back panel for added security. Umbrellas, water bottles, and other larger items are securely stored and easily accessible in the dual side pockets. “Most of us live a busy, interconnected and overlapping work-life schedule, and often tend to carry work and leisure items for the day – from the laptop/tablet accessories to the gym gear. Seoul Backpacks, with plenty of storage, manages to accommodate all that in a compact and lightweight form, with neat compartments yet compact built,” said Mr Manish Aher, Director of Product Marketing and Country Manager, India at Targus Asia-Pacific. “Targus developed the Seoul collection with ergonomics in mind, to provide the best possible solution to our customers. A comfortable backpack with efficient protection and storage options is what we wanted to achieve”, he added. The Seoul backpack is a travel-friendly backpack, thanks to its open back/trolley sleeve. A unique full-opening design of the back panel allows the bag to be securely placed on a trolley when used for longer journeys or heavier loads. The ventilated air mesh back padding and adjustable shoulder straps are particularly comfortable, and so is the top handle, wrapped in PU leather. The large soft handle on the front panel is an innovative way of grabbing and carrying the bag. Inspired by the latest trends, the Seoul backpacks are available in three color combinations. From the more traditional black to the subtle khaki or the brighter orange, each bag features stylish yellow accents. Other features of the Seoul backpack include a water-resistant base for added protection, adjustable side straps for a better fit and fabric zippers for a soft touch. Along with its modern shape, the Seoul backpack brings new levels of lightness and practicality. The Seoul Collection offers an alternative to a ‘business-only’ top load or a ‘trendy-only’ backpack. It encapsulates the key elements of fashion and business in a business and colorful bag.